I am a retired Professor Emeritus from the School of Family Studies and Human Services at Kansas State University and author of five books, the most recent being Raising Courageous Kids published by Sorin Books (http://www.raisingcouragouskids.com). I have also conducted storytelling concerts throughout the country. My book From Wonder to Wisdom focuses on the importance of stories in teaching young children. I am currently working on a book on the origins of conscience in young children. My work as a state specialist in Extension allowed me to focus on applied programs for children and their families. You can see an example of my online course (free) on Responsive Discipline at http://www.ksu.edu/wwparent/courses/rd/. You can visit my home for "The Adventures of Phoebe McGee" at http://www.ksu.edu/wwparent/story/Phoebe/. Can you guide Lilly as she faces her adventure to help her Papa? This story is more advanced than "Lilly of the Forest," the first in the series. "Lilly and the Old Peddler" is longer and has more choices. The point of the series emphasizes three choices: being smart and kind and showing courage. There is a simple scoring system with a maximum score of 25. Before you rate "Lilly and the Peddler" I hope you go through the storygame yourself, trying the different choices. 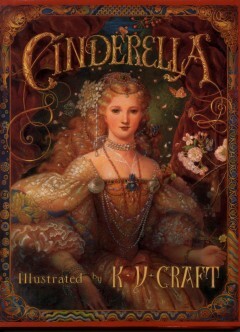 I encourage you to read it to a young child and let him or her make choices as to how the story proceeds. I do hope you rate it when you are finished, keeping in mind that it was written to be read to a young child. Even so, I hope readers of any age can enjoy it. Please visit the website that provides a home and resources for the Lilly series as well as a blog, a link to a Google Group for discussion, and other resources at: http://www.insightofcaring.com Thank you for choosing this story. I hope you and the children in your life enjoy it. If you do, let me know, and I'll continue the adventures of Lilly. Can you guide Lilly as she faces her forest adventure? See if your child can get the fairy dust! A *very* simple story suitable for a four- to five-year-old. Created for my granddaughter Samantha who is visiting this weekend. There's only a couple variables. There's no scoring in the story. I decided to publish it so parents of young children might be inspired to create their own simple stories. Rating this will make no sense unless you reach the best solution and then rate it in terms of standards for a young child. Worked wonderfully. Just the right length. But I did discover something important. At four, the best story has only two choices. So I need to go back and make a few changes. Three alternatives are too many for a child her age to process. Two is best. It will not need too many changes. But I'm happy that she sailed right through to get the fairy dust without any direction on my part. Phoebe McGee is 13 years old and is unhappy about being sent to be with her grandfather on Acadia, a small island off the coast of Maine. It is 1937 and a new danger from Europe is only beginning to gain strength. The forces of righteousness have been and will be locked in an eternal struggle with the forces of evil for the moral heart of the world. Your goal is to help Phoebe overcome the challenges she faces to gain new insight into her purpose for contributing to the victory of courage, intelligence, and compassion. A photo that represents the story at that moment accompanies each page of the story. As a representation these photos should not be taken literally. Even so, historical accuracy has been my objective. Although the story has some fanciful moments, I attempted to be as accurate as possible in the personalities of the characters and the functioning of a lighthouse in the 1930s. Also, the items you receive can be used when indicated in the page choices. Time is passing from morning to night. If you think you have explored all you need to do, go to the Clearing and keep choosing "Wait" to allow time to pass. Talk with Maize as often as you can. To save a game click on "options" in the top-right corner of your screen. Finally, page titles may occasionally end with one or more periods. These dots help me edit different pages with the same basic title; they are not errors in grammar. Thanks. for more information, maps, tips, and resources for parents and teachers. The author would also like to thank the creators of chooseyourstory.com for the wonderful resource they made for storytellers. A story to try out variations in code. Phoebe McGee is 13 years old and is unhappy about being sent to be with her grandfather on Acadia, a small island off the coast of Maine. It is 1937 and a new danger from Europe is only beginning to gain strength. The forces of righteousness have been and will be locked in an eternal struggle with the forces of evil for the moral heart of the world. Your goal is to help Phoebe on the next stage to find her grandfather and Lilly, the child who will help her on the journey. As time passes, Phoebe needs to find Lilly before the storm returns at night. For more information about the series, go to: http://www.ksu.edu/wwparent/story/Phoebe/ The author would also like to thank the creators of chooseyourstory.com for the wonderful resource they made for storytellers. Greetings all. I am reviewing one of my rather complex stories and found an error that is difficult to fix. Fortunately, it doesn't affect the critical path for completing the story. Even so, I'd like to make it right. Here's my problem. Once I make the change is there a way to review the story from that point on? If I save the story just before that point, make the change, then continue the story, will the change show up? Also, I WISH I could have a backup for the story. I worry about making a change that inadvertently breaks another part. Thoughts? I took a look at the new site, now I'm seeing that as my default view. I am not a fan of the flower background. I deleted my browser history but this still pops up. This window for posting a message reply is tiny! Thanks. Very clear explanation. Thanks! I can see how it could be useful in some cases. I need to play with this (which makes the whole enterprise more fun). I just finished my second story, Lilly and the Peddler. I wish I had read this response before beginning that storygame. Happy New Year!!! Tried later and it worked. So it must have had something to do with the server load at that time.